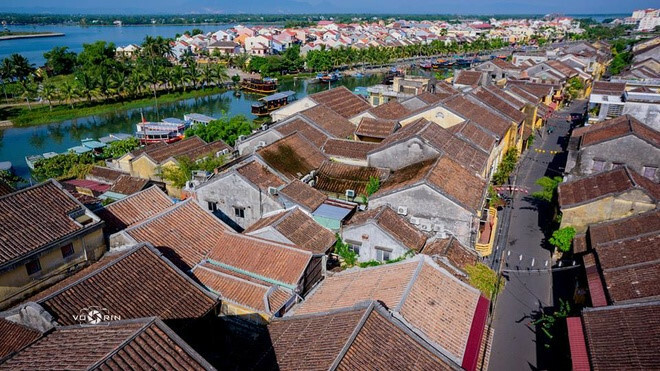 The collection 'Hoi An’s brick roofs' by photographer Vo Rin offers a new look at the peaceful life of the ancient port town. Source: Vnexpress. 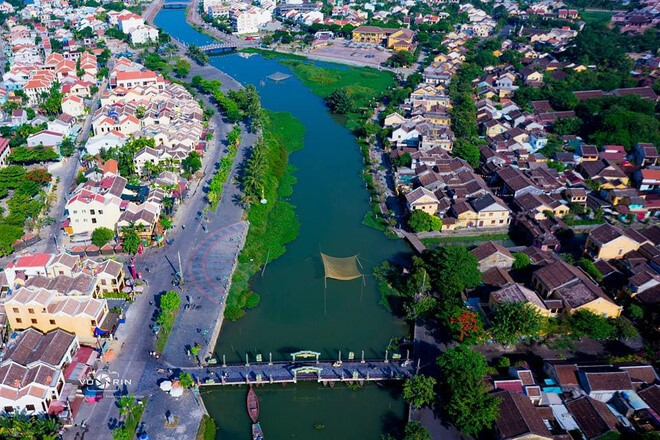 One popular activity in town is taking a boat trip along the Thu Bon River. 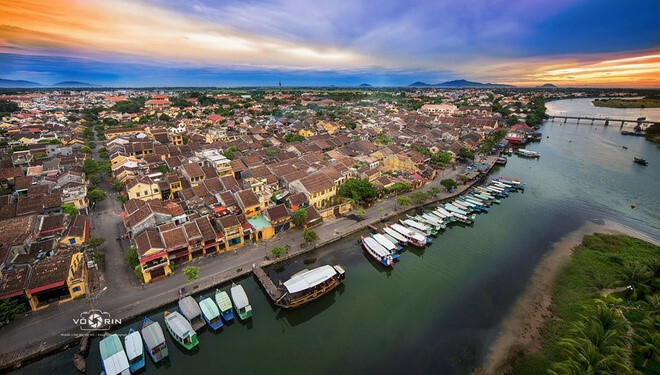 Once a bustling trading port, the town now provides an alluring mix of heritage buildings with a unique blend of local and foreign influences, colorful lanterns, craft villages, beautiful beaches, river cruises, and delicious food The photo collection has been showcased at many famous exhibitions. 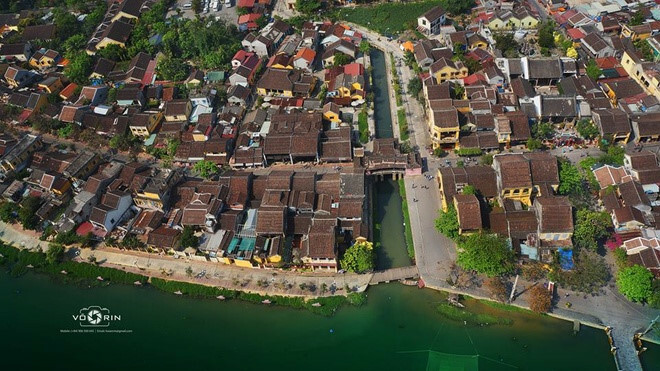 Houses in Hoi An, by the Thu Bon River. 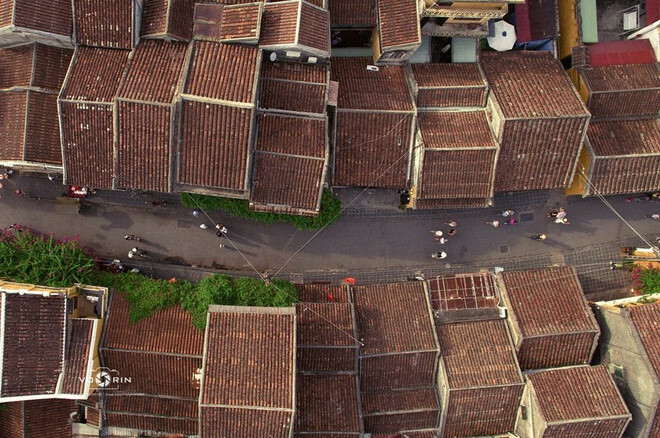 Most houses were built during the 17-19th centuries. 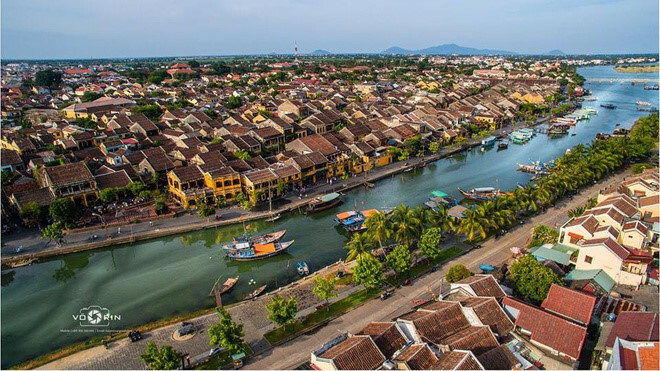 The Bridge Pagoda, at the center of this photo, is one of the most beloved attractions in Hoi An. It was built by Japanese traders in the 17th century, thus the name Japanese Bridge. 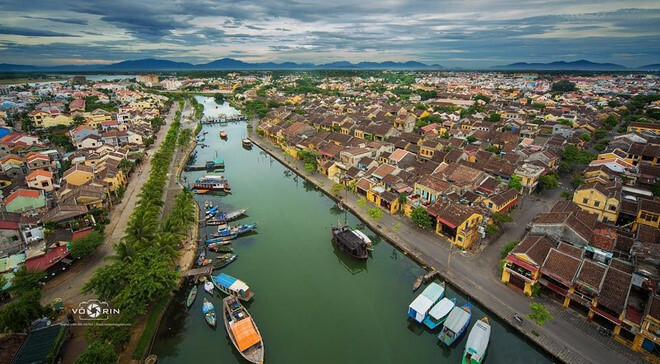 An Hoi Bridge, which links Bach Dang and Nguyen Phuc Chu Streets. Fishing nets are perfectly captured in the frame.